Most people think of Chinese astrology as only being concerned with what animal you are, as found on many Chinese restaurant menus. Of course, as with most of the traditional Chinese arts, there is a lot more to it than this to this ancient art than this. As in Western astrology, the month, day and hour have significance. This book also tells us how to find our power animals and how to learn from their wisdom. It’s one thing to say that you are a Tiger, it’s another to actually draw on the power of the Tiger in your everyday life. As a master of the Yijing, the author also tells us how these animal signs relate to the core hexagrams of this ancient book of divination and gudiance. I liked that not only was information and advice given for each animal—such as personality, health, relationships, career, finance, color and food—but there was also a special meditation for each one, including visualization and hand mudra. The connection with a specific hexagram from the Yijing was also welcome. This is the first time I have seen this and it brings much deeper and richer meaning to understanding your animal sign and how it affects your life. I am glad that, despite the many challenges of living in this modern age, we are also gifted with such rich material as this at our fingertips! Daoyin is classified as part of both traditional medical knowledge and practices pertaining to Yangsheng, nourishing the vital principle or nourishing life. Throughout history there have been many types of Qigong, the name and emphasis varying according to the individual purpose. However, its oldest and most diverse type is Daoyin. Dao, to guide, refers to the fact that physical movements are guided by the focus of the mind which, in turn, stimulates the internal flow of Qi within the body. Yin, to pull, means that with the aid of physical movements, Qi can be pulled throughout the body to the appropriate area. Daoyin is extremely old, probably the original form of what we today know as qigong. Drawings of people doing various Daoyin practices have been found from as early as the Han dynasty (220 BCE-221 CE) though the practice is probably much older than that. 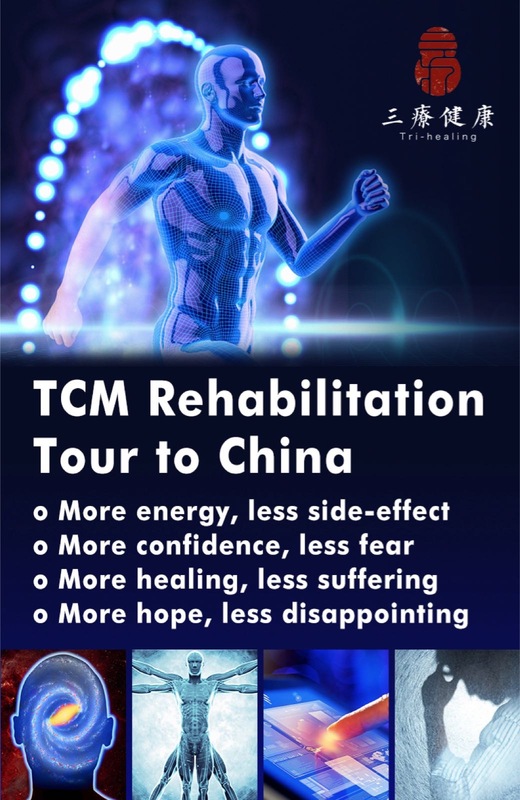 The author, a long time student of Professor Zhang, tells that the form of qigong in this book was designed with a very specific purpose in mind, to deal with chronic stress. As we all know, there are different kinds of stress, some of it acute and short in duration and some of it chronic, or long lasting. This kind of stress can be insidious and very damaging to our health system, physically as well as mentally/emotionally. While it is often possible to avoid, acute stress, since most of us don’t have to worry about being attacked by tigers or don’t have a job as a international spy, chronic stress, while often low key, can have major effects on our sense of well being. And sometimes we cannot avoid this type of stress—whether we are caring for a sick loved one, are sick ourselves, are in a difficult relationship or job situation—what we can do is learn ways to deal with the stress in healthy and creative ways. This can make a huge difference in our lives. The practices in this book are just such a way to give our body and energy system what it needs to be able to deal with any level of stress and remain healthy and whole in the process. I liked that there are sections using seated postures as well as standing. In this way the material can be used for folks in any type of physical condition. 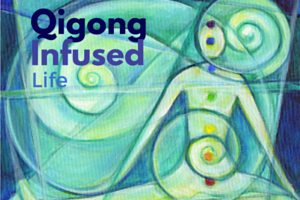 An excellent introduction to the ancient art of qigong, written by an ordained Daoist priest, with a master’s degree in medical qigong. She is also a Westerner, which I think helps her do a good job of presenting this material to Western readers. There was a short yet very concise history of qigong practices at the end of the book, dating from the Shang dynasty, which I found very interesting. That and the introductory material were very well put together and very accessible. The use of many photos helps the reader to learn the practices taught here. Instruction is given on postural alignment, breath and another aspect that is often left out, intention. There follow chapters on Structuring a Qigong Routine, Qigong for Internal Organ Strength (which includes five routines, one for each of the five major organ systems), Qigong for Optimal Health (the author’s version of the Badua Jin or Eight Brocades), Qigong for Stress Relief and Qigong for Relaxation. This book is very well done, with many clear photos to guide the reader/practitioner through the various exercises. Qigong, of course, is more than just physical exercises and this book does a good job of giving the proper background and theory to guide the reader to be able to practice at a very deep level. The author has clearly studied on a very deep level herself and it comes through in her writing and presentation of this ancient and wondrous practice. Qigong Illustrated would make a very good gift for anyone interested in beginning a qigong practice who needs some guidance in an easy-to-follow presentation. Waysun Liao studied with a Taoist master and brings the wisdom he accumulated into this book. The focus of the book is to help the reader improve his or her awareness of qi and qi flow. 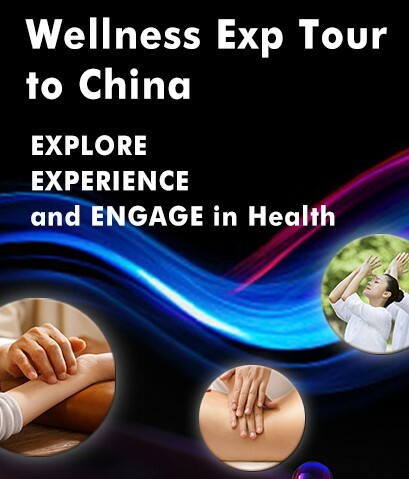 The book is geared for students of all levels of qigong and taiji training. However, the principles set forth and the exercises provided in the book are suitable for all energy work modalities. The author discusses three ways of restoring your awareness and feeling of qi flow. 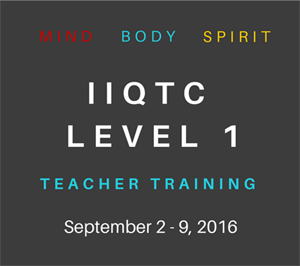 They are practicing motionless meditation( static qiqong), moving meditation( taiji) and having your qi “charged up” by a master teacher. The author emphasizes the importance of a good teacher when learning energy techniques. 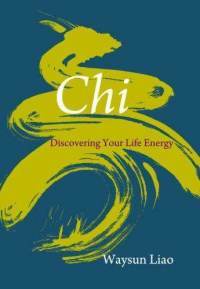 To quote from the book, “chi starts with cultivating chi awareness, moves on to developing chi flow, and final culmination in the practice of chi application”(p.72). “Tao Gong” meditation teaches the practitioner to “push” that feeling and make it flow around your entire body. Master Liao describes with clear directions and photos of himself performing seven single movement meditations which are practiced individually and can flow from one to another. There are some Daoist concepts in the book, however, the book does not go deeply into the nature of Daoism nor does it relate to Traditional Chinese Medicine concepts such as meridians, acupuncture or acupressure points. The author stresses the importance of learning to strengthen and protect your qi. “ It is critical to know how dangerously easy it is for us to overcome our credit limit and fall in deep debt where chi is concerned. Our mind and our life energy are always vulnerable and at risk, primarily because we are seduced by temptations and habits of convenience that pull us too far into the negative and artificial world.”(p.26). These words are very appropriate for the times we live in today. It is by strengthening and protecting your chi that once can attain balance and harmony. According to Liao, “remember that Chi is spelled C-H-I: Center, Harmony and Infinity. (p.26). Nurturing your life energy (chi) is accomplished with proper posture, breathing, mind intent, and moving meditation (taiji) as well as qigong . The book does not delve into meditation exercises or techniques other than a standing qigong meditation. If one is interested in this area , other resource material is advised. In learning any internal energy art, oral transmission by a qualified teacher is best, but may be difficult to find. This book is not about taiji forms or various styles of taiji. If one is looking for that type of instruction, this book may not be for you. However, the strength of the book lies in the inherent concepts that are the basis of all internal energy modalities. Master Liao does have a website where one can purchase several books and taiji learning dvd’s and other educational materials. 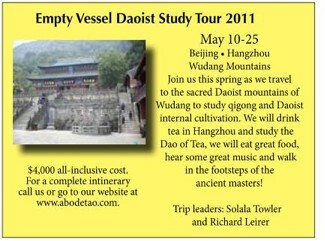 You may wish to explore his website at www.taichitaocenter.com. In conclusion, I found the text clearly written, well suited for internal energy practitioners and very convenient to bring along in your travels due to its small paperback size. This entry was posted in Book Reviews and tagged 12 Chinese Animals, chinese astrology, Master Zhongxian Wu, Sal Casano R.N., singing dragon. Bookmark the permalink.